9:00 a.m – 12:00 p.m. and 1:00 p.m. – 4:45 p.m.
Information on Concealed Weapon Permits appears at the bottom of this page. 9:00 a.m. – 11:00 a.m. and 1:00 p.m. – 4:00 p.m.
As classes become available through the school district, students who want to take Driver Education must pick up a Verification of Attendance Compliance from the school and bring it along with them to the Power County Sheriff’s Office to purchase a Driver Education permit. Verification of Attendance Compliance signed by the school principal. Original State Certified Birth Certificate. Picture ID. Example: School Annual, Idaho ID card or Activity Card. One parent or legal guardian. Sheriff’s Office does a visual test. If lenses are required, please wear them. $21.50 non-refundable fee. Permit is valid until age 18. Foreign exchange students need to contact the Sheriff’s Office for additional requirements. Parents must have a valid I.D. or driver’s license. If not issued in Idaho they must provide proof of residency. If the person is the guardian they must bring a copy of the court order. If the student is not a citizen they must bring their legal presence document. Stepparents cannot sign the student up unless they have legally adopted them. **Additional $6.50 admin. fee collected in advance for skills test receipt. Duplicate ID: Same fee as original fee. NOTE: All Retest Fees are the Same as the Original Test Fees. For information about Drivers Manuals, Violation Point System, Change of Address Forms, Driving Record Info. and more contact the Idaho Transportation Department DMV. Concealed weapon permits can be obtained through the driver’s license office Monday – Friday, 9:00 am – noon and 1:00 pm – 4:45 pm. New Regular or Enhanced Concealed Weapon Permit*: $62.45 – good for 5 years. Concealed Weapon Permit Renewals: $37.70 – good for 5 years. *Enhanced Concealed Weapon Permit – You must have completed a certified 8 hour training course prior to application. A License to Carry Concealed Weapon (I.C. 18-3302) in Idaho is issued through Idaho Sheriffs. As of July 1, 2013, a new type of license will be made available. The Enhanced License to Carry Concealed Weapons (I.C. 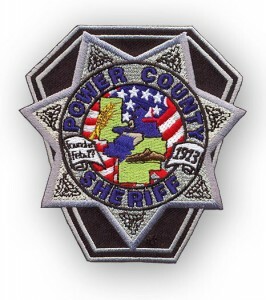 18-3302K) is also issued by Idaho Sheriffs. Questions regarding the application process should be directed to an Idaho Sheriff. CAUTION! Gun Concealed carry laws vary greatly from state to state and even within counties and municipalities within those states. Therefore, if you have an Idaho Concealed Weapons License and are planning to visit a state that has concealed weapons license reciprocity with Idaho, remember that you are subject to the laws of that state, including any county or city ordinances, that apply to concealed weapons licenses and concealed weapons carry. It is your responsibility to familiarize yourself with those laws, ordinances and codes and comply with them. Concealed weapons license reciprocity in any form is simply that, reciprocity, and it does not immunize a person from criminal or civil consequences for breaking the law. Also, please note that some state grant reciprocity to Idaho Concealed Carry Licenses for concealed firearms only, and do not extend reciprocity for other weapons that Idaho includes under its Concealed Weapons Licenses, such as dirks, dirk knives, bowie knives, daggers or any other deadly or dangerous weapon. To view the reciprocity agreement or communication with a state, please click on the state name and year. View page on the Idaho State Police website.